On our last episode of Fangirls Going Rogue, which only released a couple of days ago, we promised a whole lot of awesome this week. 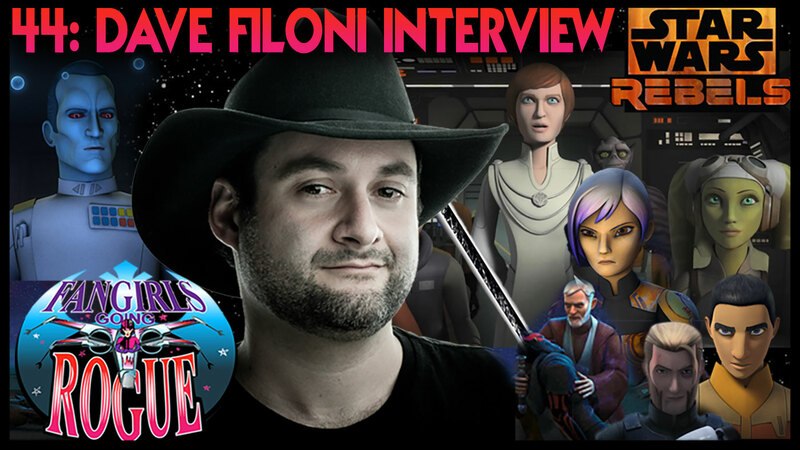 It’s time to deliver with a special interview featuring Dave Filoni, Executive Producer of Star Wars Rebels. Of course, we had to ask about the storytelling in Season 3 and get hyped about Celebration – ONE WEEK AWAY! – but we also dove into his favorite moments at conventions and the #HotKallus phenomenon. Also in this episode our reactions to his thoughts, plus a sneak peek at a new documentary about Star Wars fangirls called Looking For Leia from listener Annalise Ophelian. Don’t forget our Celebration Podcast Stage appearance will happen from 3:00-4:00 p.m. on Friday. We will make it worth your time. As always reviews and rating are our life blood. If you enjoyed this episode take a moment to leave a review and share it on social media. Thanks for listening, and until next time: Yub yub! Fangirls go Skywalking Through Star Wars Celebration OrlandoFangirls Going Rogue Returns To Celebration Podcast Stage!